The Independent Drivers Guild (IDG) is formally petitioning New York City to enact a livable minimum wage for app-based for-hire vehicle drivers, which would increase pay rates by 37 percent, and to prohibit price gouging in the industry, by capping rider app fees at 20 percent. 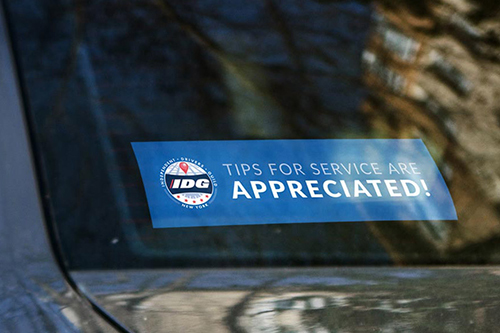 The IDG, a Machinists Union affiliate which represents and advocates for more than 60,000 of these drivers, submitted the proposed rule today to the city’s Taxi and Limousine Commission (TLC), the agency responsible for licensing and regulating New York City’s taxis and for-hire vehicles. The IDG’s petition advocating for the proposal has garnered support from more than 15,000 signers. The IDG will continue its campaign for these pay protections by launching calls and emails to city officials as well as promoting the cause with flyers and ads. Recently, MIT researchers found that a significant portion of Uber and Lyft Drivers make less than minimum wage after expenses. Even in New York City, where nine in 10 Drivers drive as their household’s main source of income, IDG survey data shows that many Drivers make less than minimum wage after expenses. “We are making much less than we were just a few years ago — and companies like Uber and Lyft are pocketing more. To try to make up the difference, drivers are forced to work longer and longer hours, but we are still unable to make ends meet,” said app-based driver and IDG member Aziz Bah. The city is required to respond to rule petitions within 60 days, either agreeing to grant the petition and initiate rulemaking by a specific date or denying the request. While the TLC enforces certain protections for driver pay and to prevent consumer price gouging in the taxi industry, there have been no such protections in the app-based for hire vehicle industry.